2 Sketches 4 You: Card of the Week & The Fab 5! Card of the Week & The Fab 5! Thank you one and all for all your lovely compliments and for taking part in this weeks challenge. This week has been filled with inspiration from each one of you and the gallery is filled to the brim with evidence of that too. Thank you to Regina from The Cutting Cafe for providing us with the most beautiful images to work with and also for generously sponsoring the amazing prize to our winner..
We love this gorgeous card made by uber talented Lauren from All the Good Blog Names Were Taken the simple lines with the stunning bird and the clever sentiment make this a fabulous card for our Card of the Week. Thank you so much for sharing your talent with us - send me your email addy Lauren so that I can get your Cutting Cafe files to you. Laura is new to posting at 2S4Y so I had a little peak around her blog, It's All Rosie, this week and I was blown away. 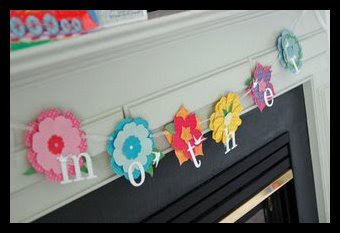 Oh my goodness people do yourself a favor and check out pages and pages of inspiration on all sorts of crafty ideas like this adorable Mothers Day Flower Banner...welcome to our challenge blog Laura - we hope to see more of your fabby work next week. So tomorrow is a BIG day...with a BIG surprise...I sooo badly want to tell you more but I can't...(Laura swore me to secrecy for one more day)....so I guess you all will have to just tune in tomorrow to see what our lovely Ms. Laura has up her sleeves...oh yes and also a cute new sketch and of course divine samples from our DT AND the return of a fantastic sponsor! Congrats you card is stunning!! The Fab 5 cards are amazing as well!! Lauren - your card is simply stunning! Thank you K & L and the 2S4U DT for including me in this amazing community of stampers - you have totally made my day!!! And Kazan, I canNOT wait till tomorrow for Big News!!! okay - can I throw out some guesses?? You are both pregnant!? You are coming to see me :)? lol!!! Can't wait!!! Hugs to all and hope you are all having a great weekend!!!! 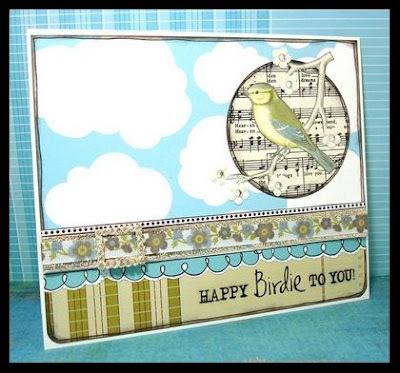 I adore the Top 5 cards and the Card of the Week is BLOWING me away. I love Lauren's card and - WOW! - thanks for featuring my banner! Lauren your card is truly amazing! Laura and Kazan and the DT: thank you so much for including me in the fab 5 this week! I never expected that! Also many thanks for all the sweet comments, very much appreciated. I cannot wait to find out what the big surprise is.... I will definitely be tuning in to find out. Congrats Lauren! What an awesome card! And congrats to the Fab 5 as well, so much awesome cards out there! Wow! Almost turning 1!!! That's just great!!! And in one year you've become so famous and such a hype! The sponzored prise is really unbelievable. O my! I guess your sponsors think you're great too and are happy to celebrate your first birthday with you! I'd like to come over to your cyberparty and thank you for this invitation! About the DT cards: when you think this can't become any better, there's a next week and than I see: the cards did become even more beautiful. How do you guys manage? Great great work ladies.